It's not new when a renowned franchise branch off to create video games that would make toys be involved in a different plotline. This fact remains a challenge and in turn, the outcome of games like this turns to be calamity or like a 'rip-off' from the popular line of toys. 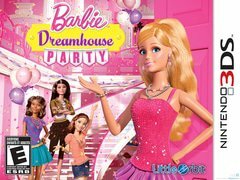 One of them is often referred to belong at the worst video game today - Barbie Dreamhouse Party. If you compare it to other of its kind, this game would probably stand out as it tries to incorporate what we have today in order to serve what gamers would probably love, however, it just wasn't enough. If you are not familiar with the line of Barbie dolls, it'll probably better if you know that this is not their first attempt to make a game out from their ridiculously famous brand. The game is set once again on Malibu, California, in a mansion of Barbie. She, her friends and siblings faced a boring afternoon and therefore, decided to have a change in atmosphere by playing video games which Raquelle unprecedentedly turns off in order to further make the afternoon more exciting. This move from Raquelle did manage to change the course of the afternoon, however, for the worst. It triggered the mansion's security and locked them up. To be able to get out of the mansion, they need to engage many mini games along the way. The game surrounds at this idea, but all in all, it would only take hours to beat. Aside from other extra features that it might have, the game still falls shorts and is one of the worst video games ever created. Barbie Dreamhouse Party definitely stands above its crowd. The mini games are also noteworthy for the efforts of developers, however, it looked like a desperate attempt to present different games to consumers. Of course there are some redeeming qualities, but the fact remains that it definitely doesn't stand a chance with other Wii games.